The Scotts Valley Chamber of Commerce announced the recipients of their annual awards — including a Navy veteran, new favorite spot for Greek food and two community leaders who have helped raise hundreds of thousands of dollars for local causes. The chamber announced the 2017 Community Awards in a news release on Nov. 9.The Business of the Year is Cafe Hanna. Derek Timm was selected as the Alvin Scarborough Man of the Year and Jennifer Hardwick as the Annette Marcum Woman of the Year. Mary Lonhart was picked as Educator of the Year. Philip Goodrich is the 2017 Youth of the Year. The Organization of the Year is Scotts Valley Senior Center. The Chamber Ambassador of the Year is Leatha Brown and Terry Wells Camp Evers Mural will receive the Claire Hodgin Beautification Award. 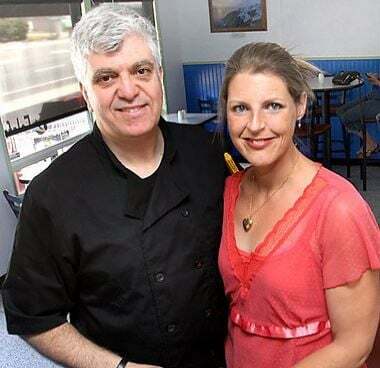 Cafe Hanna’s motto is “Eat Healthy, Live Long, Love Strong” and their authentic homemade Greek fusion food earned Adeeb and Jaime Karam Business of the Year honors. The family-owned eatery, 5272 Scotts Valley Dr., combines an eclectic atmosphere with a blend of Greek and Syrian food, including hummus, baklava, souvlaki and Mana-Keesh. The Karams have given freely of donations of sales receipts and food and gift certificates to Café Hanna to support community causes, earning a reputation as a good restaurant and good community supporters. As the chamber’s Man of the Year, Timm wears a lot of hats in service to the people of Scotts Valley. He is currently chairman of the Scotts Valley Planning Commission, president of the Scotts Valley Education Foundation, and is former president of the Scotts Valley Friends of the Library. 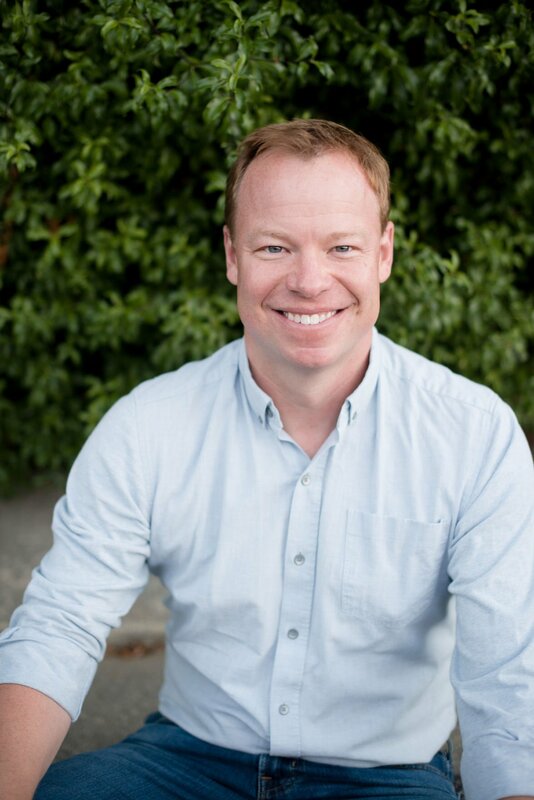 According to the chamber Timm founded Save Our Schools Scotts Valley, which ran the successful campaigns for Measure A and Measure K.
Community Food Truck events and other efforts. The foundation’s endowment was increased to nearly $500,000 during that time. Hardwick was selected by the chamber because of her work in the community. According to the chamber, she raised $5,000 for the Scotts Valley High School Falcons Club through a trivia night fundraiser, organized football team dinners and led weekly workouts for the girls’ softball team. The owner of Perfect Union — Hardwick’s nutrition and fitness studio — also participates in Christmas Compassion, which assists 150 low income families with Christmas presents, every year. “I have a heart for these single moms, and I just want them to know they are doing a great job and they deserve something special too,” Hardwick was quoted as saying, adding that community events are never done alone. According to the news release, Mary Lonhart first began teaching at Scotts Valley Middle school as a special educator in 1996, becoming principal 17 years ago. Lonhart was an ardent supporter and campaigner for Measure A, the voter-approved bond measure which led to the rebuilding of the 75-year-old middle school campus which is scheduled for completion in August. The chamber writes that Lonhart is well-respected by faculty and students alike. The school has received numerous distinctions including being named a National School to Watch, a California Gold Ribbon School, and a California Distinguished School during Lonhart’s tenure. The chamber selected Goodrich, a Scotts Valley High senior, as their youth of the year because of his high level of involvement on campus and in the community. He is Senior Class Vice-President, ASB School Board Representative, SVHS Rotary Interact Club President, a co-host of a weekly radio show on KSCO, captain of boys’ varsity tennis team and an intern for Congressman Jimmy Panetta. Goodrich, who attended Vine Hill Elementary and Scotts Valley Middle School, plans on majoring in political science and dreams of one day working in a career in public service. The chamber’s Ambassador of the Year, Leatha Brown, moved to the Santa Cruz Mountains after selling her successful businesses in Houston Cosmo Cool Concepts and Funtastic Balloons. Brown is used to serving communities as a veteran of the United States Navy. She now leverages her more than 20 years of experience in event sales and coordination as vice--resident of the Scotts Valley Chamber Ambassadors team, member of the Santa Cruz Chamber, Rainbow Chamber, EPPNA and the Silicon Valley Concierge Association. The Camp Evers Mural by artist Terry Wells was selected as the Beautification of the Year. Wells, a Coast Guard veteran, who has worked on billboards for Winchester Mystery House, Marine World Africa USA, Alaska Airlines, the Boardwalk and others believes in hand-drawn and painted works and has a passion for the sign art form. He now focuses exclusively on hand painted signs and murals and is available for hire! The chamber is celebrating its 60th anniversary next year during the awards gala to honor the Community Awards recipients. The dinner — catered by Mickey’s Catering with wine from Kissed by Angel Wines — is from 5:30-11 p.m. on Jan. 21 at Green Hills Event Center, 1500 Green Hills Road. Early bird tickets cost $75 per person and are available through Dec. 19. After the nineteenth, admission will cost $100. Get tickets and more information at www.scottsvalleychamber.com. I have been a member of the chamber for the last ten years. Starting in 2018, I will no longer be a member. I was shocked to find out there is no criteria for their "Business of the Year" award. As the unfortunate landlord for Café Hanna, I would not eat there.